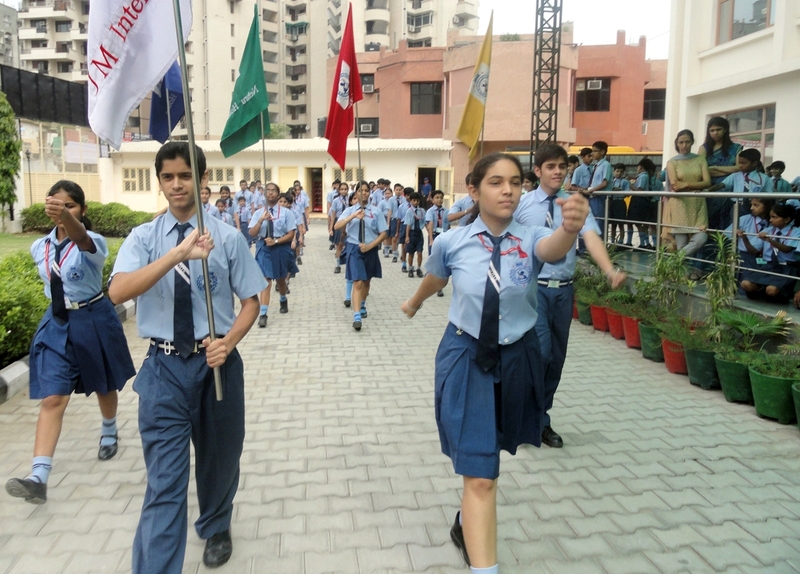 July 18, 2010 was one of the most coveted day for the students of JM INTERNATIONAL SCHOOL, Dwarka, Sector-6, as this was the day when the Investiture Ceremony was organised in the school. With this ceremony, the new session of student council began & newly elected heads & prefects were invested. The ceremony commenced with the welcoming the School Director Mr Yogesh Gupta. That was followed by lighting the knowledge lamp, flag hoisting and Bharatnatyam. The school council comprised of Senior Student Council and Junior Student Council. The council was selected after much deliberation. Nomination were scrutinized carefully by the principal, head of the departments, house mistresses and teachers.53 meritorious students were adorned with the prestigious Scholar Badge & certificate by the Director and Principal, Ms Anuradha Govind . She administered the oath and urged the students to shoulder the responsibilities & be exemplary in their demeanour. Donning the mantle of responsibility, the new Council members, who looked radiant and confident, took the oath and pledged to uphold the values of the school, abide by the rules and regulations of the school and keep the JMIS flag flying high. Mr. Yogesh Gupta, Director of the school, exhorted the new appointees to tread the path of honesty & to lead a disciplined life for attaining assured success in life. The office bearers appointees were Siddhant Puri (Head Boy), Prakshi Bajaj(Head Girl), Vatsal Tandon(Vice Head Boy) and Kanica Goel (Vice Head Girl). फिल्म इंडस्ट्री के सबसे खूबसूरत अभिनेता थे शशिकपूर: दयानंद वत्स.